Assuming Washington isn’t crazy enough to franchise him—though no moronic idea should ever be put past a team owned by Dan Snyder—Kirk Cousins appears to be headed to free agency. 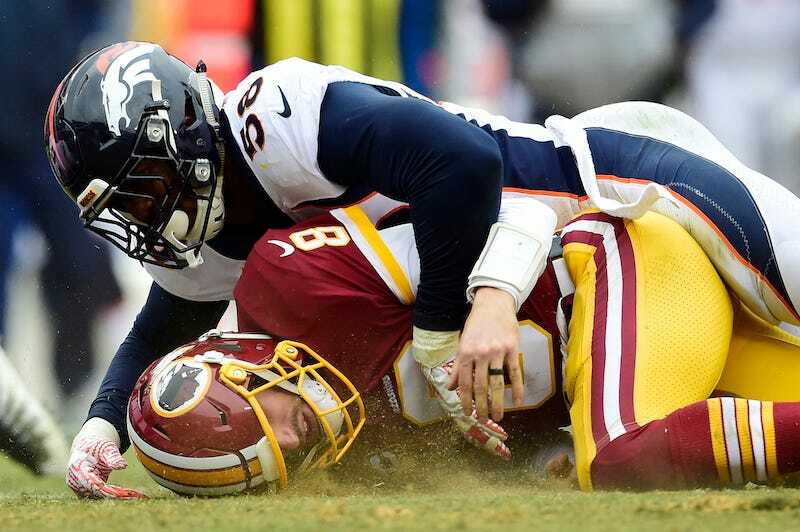 Von Miller would really like you to know he wants Cousins to sign with the Broncos. Free agency doesn’t begin until March 14, so there’s plenty of time for Miller to keep upping the ante with Creed’s Greatest Hits. Kirk Cousins Is About To Get Paid, But By Whom?